Sekiu (11S). An interesting location, a difficult approach and a very nice airport immerse me the rare environment where grass grew too high, asphalt cracked, and deer comes out on the runway. It is a pleasure to fly to Sekiu. An interesting location, a difficult approach and a very nice airport immerse me in the rare environment (rare for a virtual pilot) where grass grew too high, asphalt cracked, and deer comes out on the runway. All this makes a consistent and lovely experience. Why should you fly into small airports? 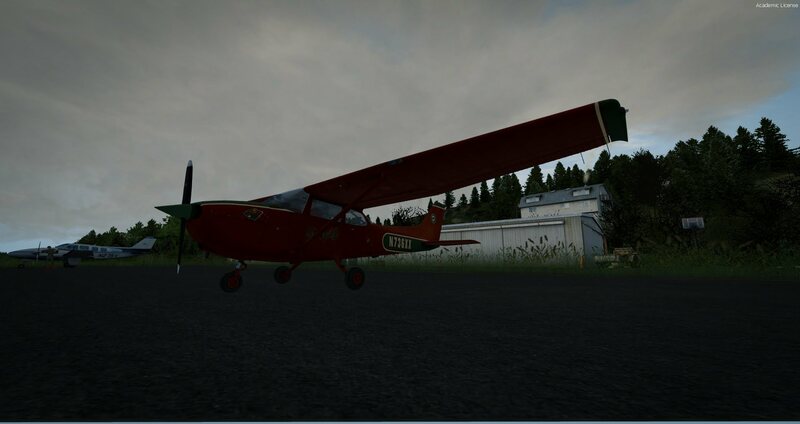 The first few times I landed on runway 26 in Sekiu I touched down much farther than I meant. Sometimes I went around knowing I should be lower on approach. What is it about approaching 26 that makes me fly it wrong? Sometimes you ask me – why do I fly into small airports? Sekiu shows why. Let me explain. 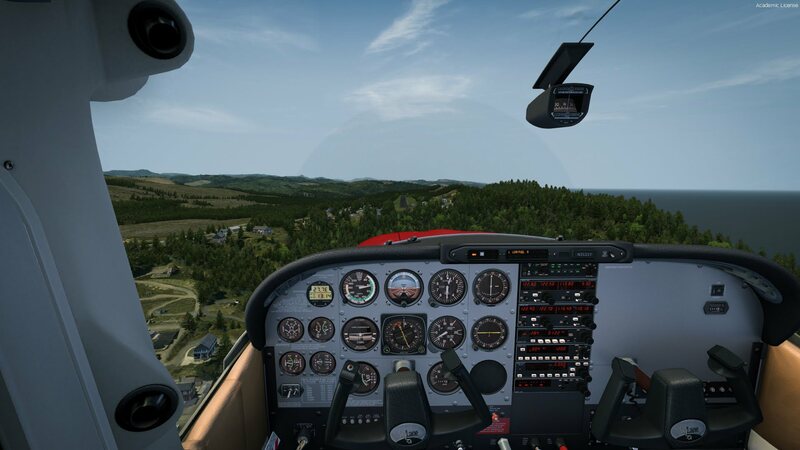 The simulator changes our perception of small aviation’s reality. First, we buy an add-on plane – and the choice is considerable. 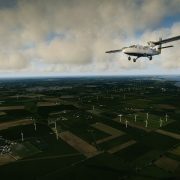 A2A releases fantastic aircraft, Carenado and Alabeo offer diversity, Milviz has an interesting offer. So we have the planes to fly. But look at what scenery developers offer. The choice is much harder to make. 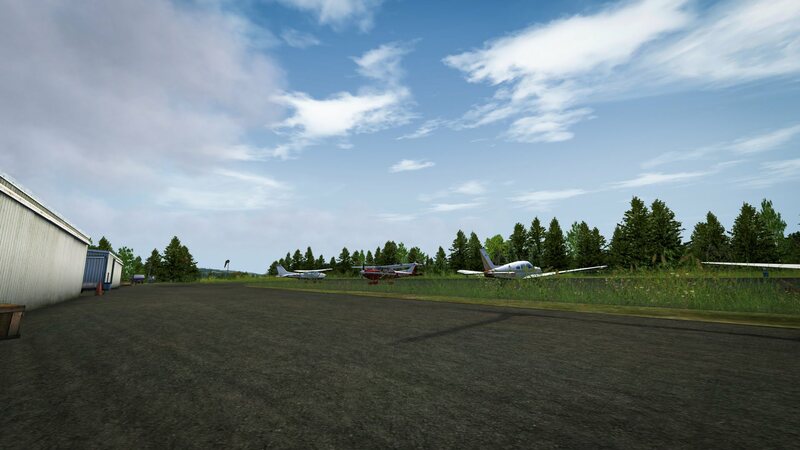 In my country – Poland, we have a very nice scenery of Babice (EPBC) for FSX and P3D (Babice is a general aviation airport in Warsaw). The concrete runway here is 1300 meters long and 60 wide (actually, it is 90 meters wide, but runway markings limit the width). Just look at a satellite image – the plane practically disappears on it – it is a small, white T on a huge gray surface. As we occasionally talk about airports, you write about the flights from small airports; you make mentioning Torp in Norway, Innsbruck, and Dubrovnik. I agree – these are cool small airports. Small as seen from 737’s cockpit. For the owner of Cessna 172, these are in fact huge airports – some larger are often unavailable for such small aircraft (not available mainly due to prohibitive landing or handling prices). 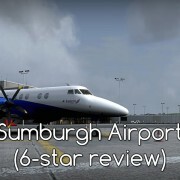 In reality, these “small” airports (as we perceive them in FSX and P3D) are rare. Small and demanding airports are even rarer. Consequently, our view of airport size is distorted. And here I come to the greatest value I see in Sekiu. I Approach runway 26 from the usual left pattern, turning final over the town, of that gave the airport its name. The area in front of me is rising rapidly. The marina lies at the bottom of the hill, further – on the distance of 500 meters, the terrain rises by 108 meters (355 feet). You will find runway at this altitude, but trees on both sides of the airport reach higher. This is where I see the problem. I am unaccustomed to such approaches. The flat area around my everyday airports is easier to perceive. It’s safe here – they cleared the approach, but left the trees that grow in the real world and they are strangely close to the runway – the impression is unusual. And this impression interferes with my assessment of the approach. The effect – again and again, I am high. The width of the runway also hampers my judgement. It is just 17 meters wide. Just 6m wider than the wingspan of Cessna 172 I fly. It’s how real-world pilots train – on narrow runways. This is the “normal” for them, and we look for commercial airport runways. The simulator reversed the real world situation. But wait! There is more. You will find tall grass growing besides the runway which further narrows the place to land (it’s an illusion, but a powerful one). I like this grass they modeled here – overgrown and diverse. There are patches of flowers in places and varying kinds of medium and high grass elsewhere. Some places seem dry, other are flourishing with green. It surely took time to plant all this vegetation – the space between the runway and the fence on the south side is full. To the north grass almost reaches the tree-line, and on the westernmost section of runway, grass disappears in the bushes (thick scrub is also a rare thing in the scenery – even a payware). My admiration for they modeled the vegetation does not stop at the airport fence. Forests cover the area few kilometers each way. 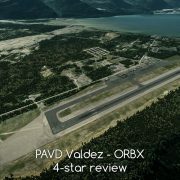 Although I have seen this effect in several ORBX sceneries, I am still fascinated by the number of trees ORBX plants around airports. 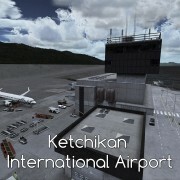 Sekiu is a local airport in the north-western part of the Olympic Peninsula in Washington state (USA). It has a single 08/26 runway that is 2997 ft (913m.) long, with the threshold of 08 displaced by 900 ft due to damage. The renovation made a few years ago saved the runway, but the weakened asphalt still can’t stand landings on this part of a runway. Displaced threshold means that the pilots have a shortened runway for landings in the eastern direction. Takeoffs in both directions and landing to the west (at runway 26) use the entire length of the runway, however, by the placing of a small run-up area near the displaced threshold I guess that shortened take-offs may be frequent (due to not perfect condition of the western part of the runway). 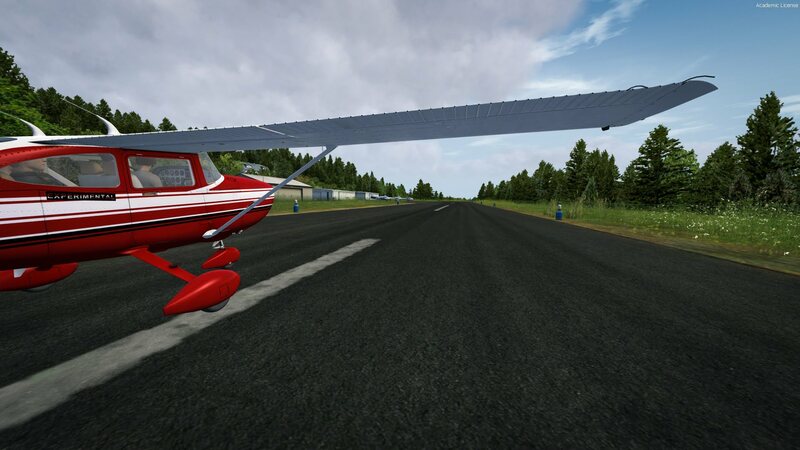 The runway is 50 feet wide (about 17 meters), which will put less experienced virtual pilots in trouble. At the eastern end of the airport, there are several hangars and a small apron. Then more aircraft visit the airport, parking spots on the grass near the hangars are arranged, but the high grass in the scenery I did not allow me to park there. Edge lights illuminate runway. VASI are available too (2 lights for landings on runway 26). Unfortunately, VASI lights do not work in my setup (P3Dv4, checked in April 2018). Forum reports show that the developer added VASI with a delay, but it should work now. Sekiu is a small town in one of the more wild and inaccessible parts of the continental United States. The main tourist attractions are hiking, fishing and bird watching. No airline maintains a permanent connection with Sekiu, but you can take a chartered plane to the airport (Point to Point Air lists Sekiu among the airports where their Cessna 172 flies). Private planes visit Sekiu too. You can land here with most single-engine airplanes. For the twin-engine aircraft refer to their performance charts – some low powered planes may find this three-thousand-foot runway challenging under heavy load. Seattle, Tacoma, and Olympia are the most typical destination. 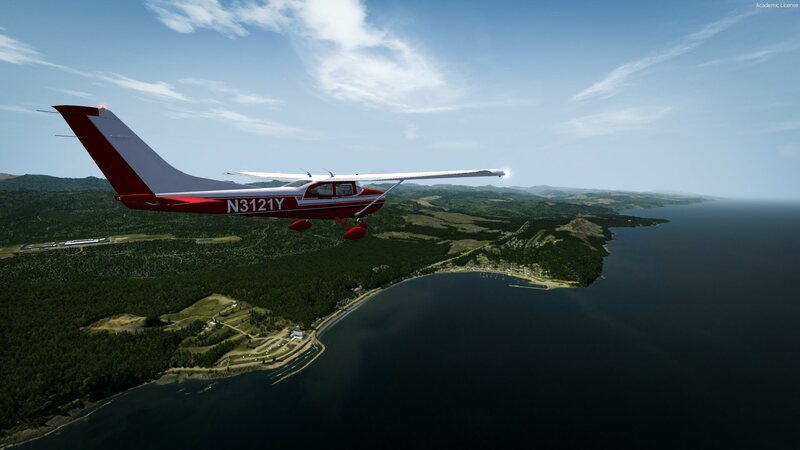 Flying south – along the coast of Oregon to California may be also interesting. There is also Portland. If you try to simulate real operations – consider that fuel is not available. When flying to Sekiu, take fuel for a return trip or plan a refueling stop – for example at Fairchild Airport in Port Angeles. The small airports and tourist attractions of the area attract helicopter traffic. 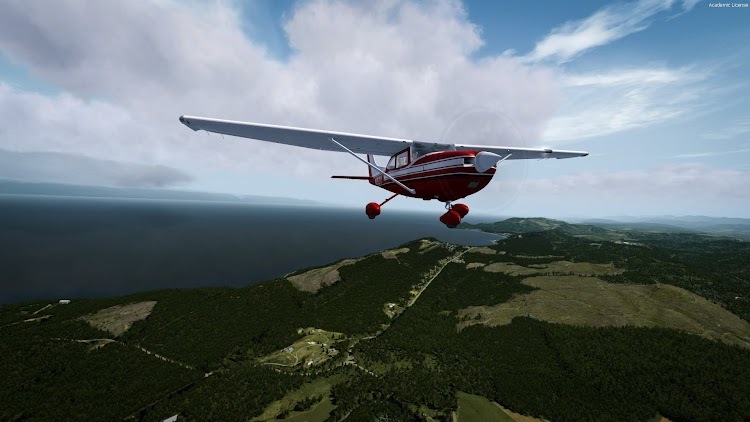 Neah Bay at the edge of the Olympic Peninsula is one of the best destinations – it also got an upgrade from the scenery designer, and together with Makah Bay offer attractive views on low altitude flights. Unfortunately, Coast Guard’s helipad in Neah Bay was forgotten – even though it shows in the photo scenery. But another helipad welcomes you at Clallam Bay Corrections Center. Hopefully, it welcomes you as a pilot. The depressing view of the concrete buildings behind the double wall corresponds to reality (as far as I could compare with satellite images). Flying over the towns included in the scenery, I noticed that the developer tried to reflect their character. If you pay attention to the ugly building in Clallam Bay – it’s a local school. Another distinctive object – a white building in the space between Clallam Bay and Sekiu is the Bay Motel. Only the color and size matches the real world place, but that far from the airport it is an achievement. Caravans are crowding both towns – just what I expected after checking location photos. I like it (although I don’t like the idea of packing such beautiful towns with these ugly things). 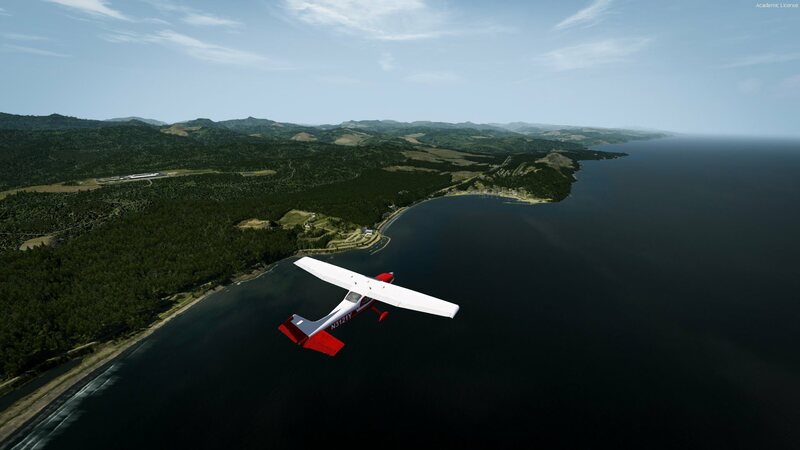 11S (11S is the airport code given by the FAA) is the scenery created for the FTX Pacific Northwest region and this region is necessary if all elements of the scenery are to operate. 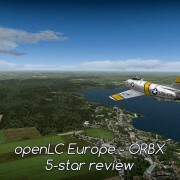 User installs it with FTX Central – ORBX’s management software. 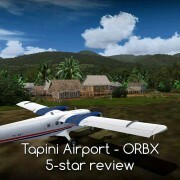 You can purchase this scenery for $32.95 (Australian) through ORBX Direct store. No surprises here. 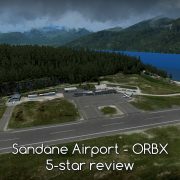 I have described the process in the text about ORBX scenery installation.